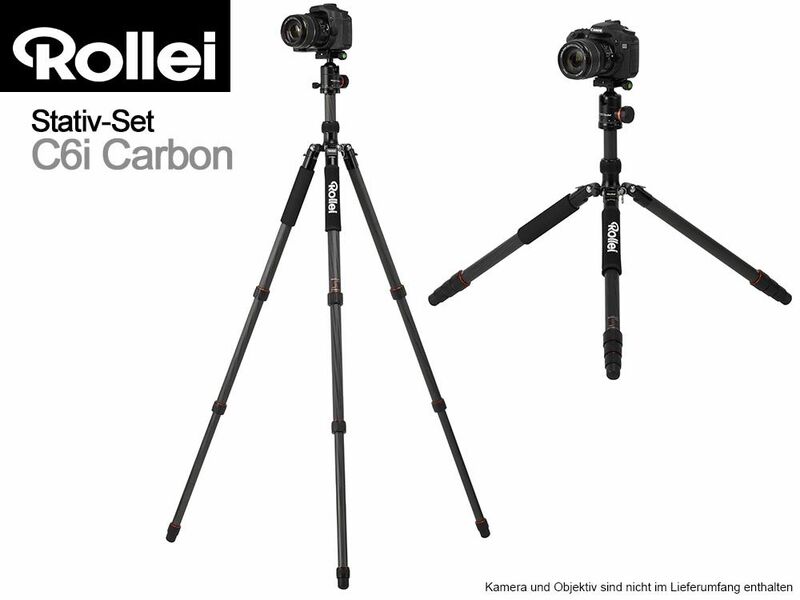 The Rollei C6i – which could be seen as the C5i’s big brother - is now available in Carbon, too. Due to the material, the weight could be lessened by 25% without a loss in stability and max. load. The range of functions remained nearly the same, only the partable centre column has been omitted. With three extracts and a completely extended centre column the Rollei C6i Carbon achieves a max. 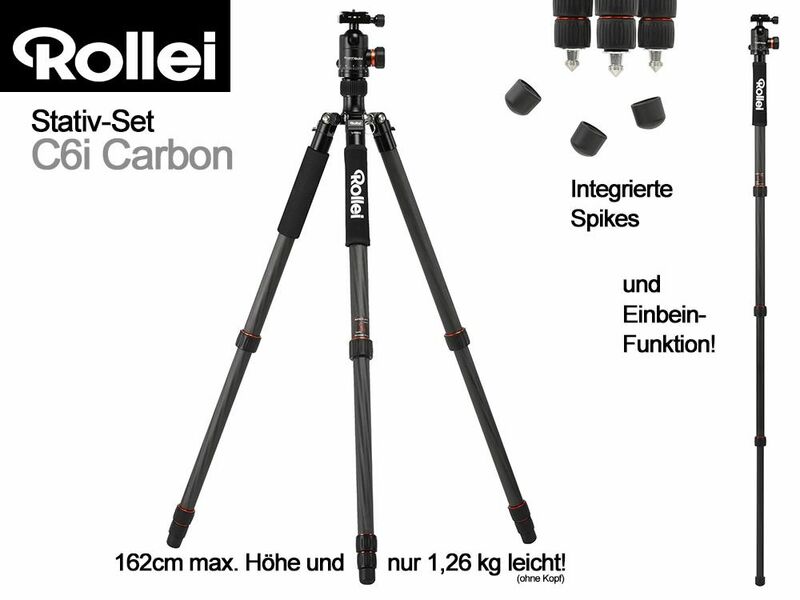 height of 170,5 cm, which is only negligibly smaller than the aluminium version . The diameters of the segments vary from 28 – 19mm and engender a good stability. For a fast set up in repro position the legs can be flipped over 180° or the centre column can be reversed. 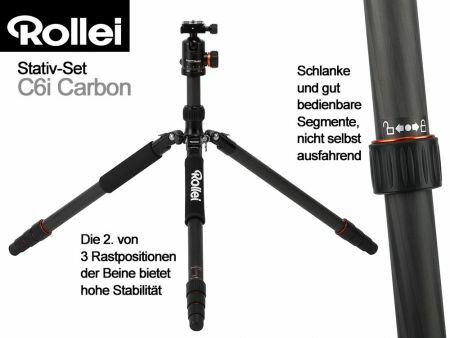 Moreover one leg can be detached and used as a monopod. If the centre column is added, the monopod reaches a height of 179 cm! The legs of the Rollei C6i Carbon are furnished with solid rubber feet, underneath which spikes are hidden. Two legs have a cold grip in the upper section. For further stability a hook can be attached to the centre column, to which weight can be added. The included ball head has exceptional good supporting qualities. 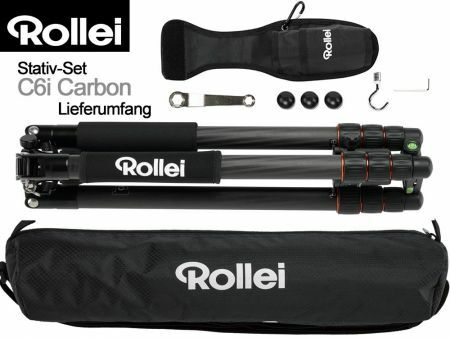 It is equipped with a separately fixable panning base, three water bubbles for easy levelling and an arca-swiss compatible quick release plate, which has a stirrup bolt that allows fixing without further tools. 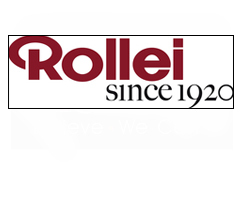 Here you can find additional quick release plates: Rollei QAL-50. If you are looking for a more favourable version, have a look at the Rollei C6i Aluminium!